Over the past couple of years, Drew and I have been further diving into a "crunchy" lifestyle - healthier food choices, taking better care of our health, more natural, holistic options, buying local, etc. He and I are both passionate about reducing our footprint, about growing our children to have a love for God's creation, and about self-sustainability. So, 2014 is the year of the Urban Homestead. We live just moments from Downtown, but with a large double lot and a little bit of passion, we are planning on turning our back yard into a homestead paradise. Today, we started the process. It's pretty incredible how much work is in the preparations. We are doing a lot of clearing, moving, burning, raking, digging, and building to prepare our backyard for... are you ready for this?? CHICKENS! My daughters are SO into this. I swear, if I hadn't been present at her birth, I would totally have thought my 3 year old daughter was a born and raised country girl. 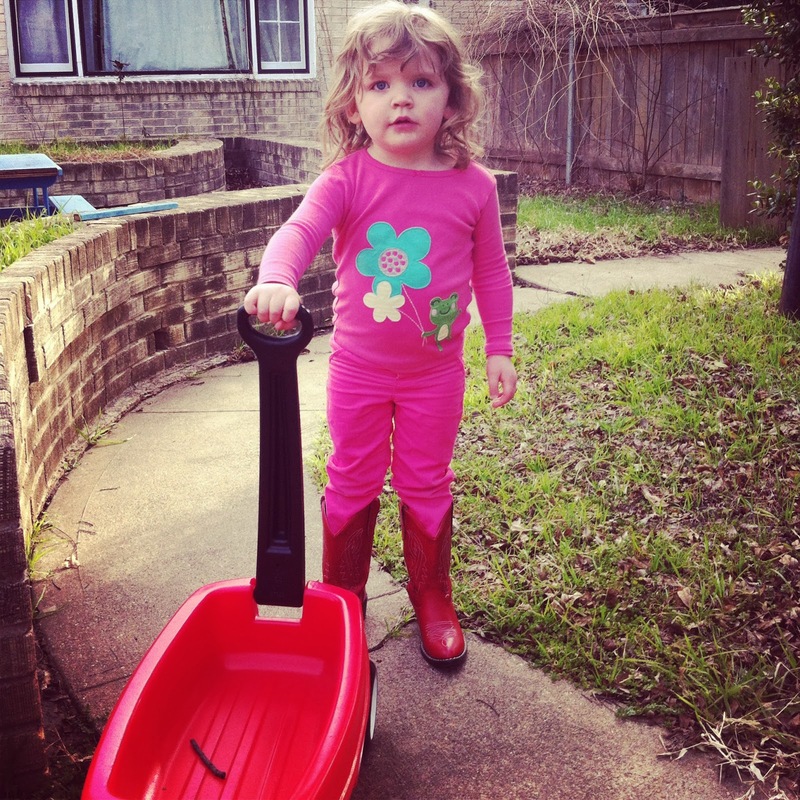 She wants to wear her boots all the time and she LOVES to go outside with me and her daddy and pick up sticks in her tiny little wagon. Olivia, on the other hand, would be much happier shopping with her Grammie at "MICHAEL'S" (her very favorite store... and she is not even 2 yet!). But put her in front of a pile of dirt and she will have a ball (and have it covering every square millimeter of her body). Today's project was clearing an area of our backyard that is fenced off. It became a dumping ground for piles of brush and the ugly compost pile. So, we donned our work gloves and our Toms (adding boots to the checklist of things I need to purchase) and dug in. 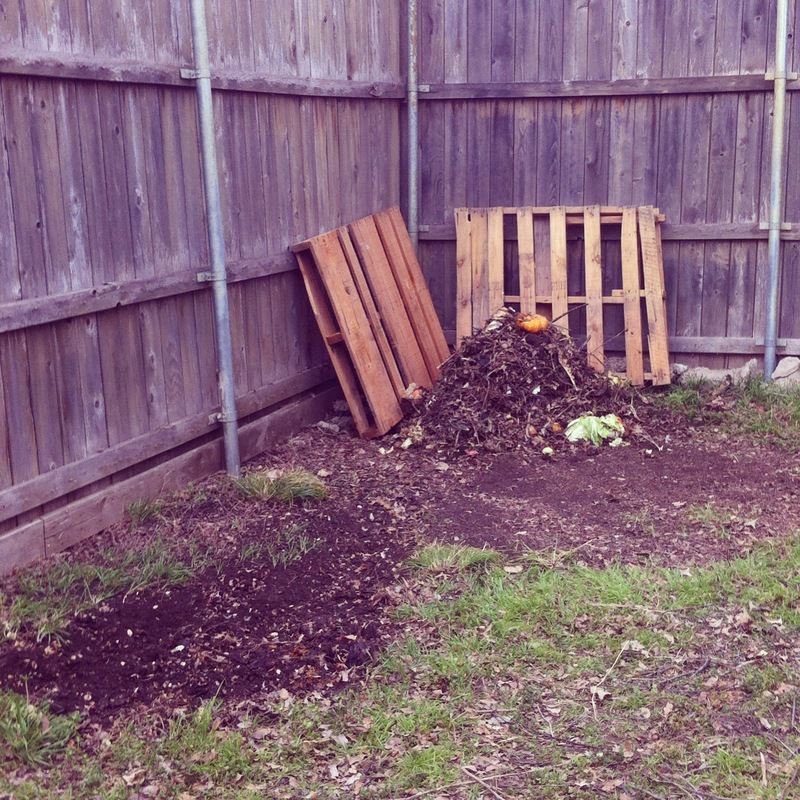 A couple hours later and the brush is cleared, the compost pile is moved and the area is clear and ready for a coop. Once I have 2 more palettes, I can section off the compost pile and make that area look a little nicer as well. - Maybe it isn't the best idea ever to go from zero physical activity to riding 10 miles on a bike (and falling off) one day, then moving a large compost pile the next day. - Toms soak up decomposing muck - super gross. - All of this work felt like REST. 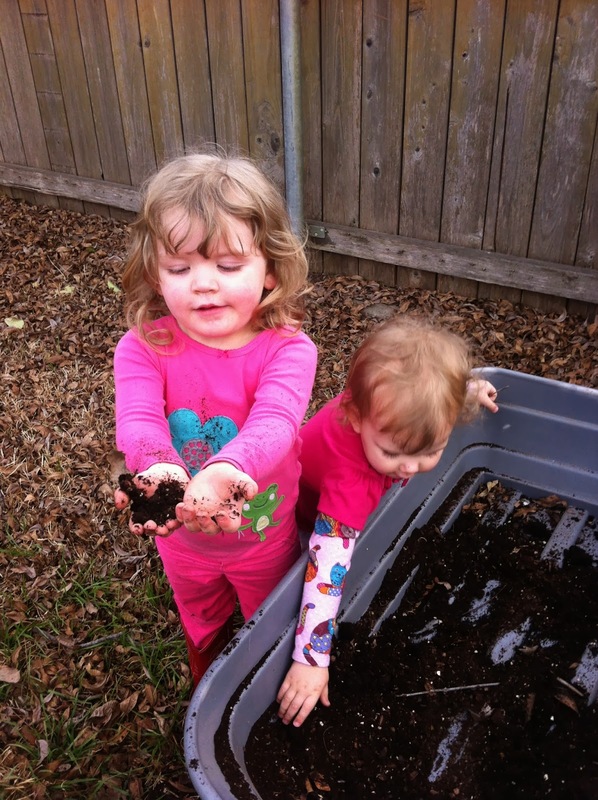 It is amazing how getting outside in the sunshine and digging in the dirt can uplift your spirit.